The Race Face Next show is all about giving young drivers the opportunity to get into the spotlight, tell their story and share their dreams. We go cross country to bring you the next wave of young drivers to keep your eyes on, you never know where the next star will come from. Watch the show here on our RaceFace.TV site or catch us on YouTube or Facebook Thursdays at 10:00 PM EST. If you miss a show you can watch episodes anytime with RaceFace.TV On-Demand. 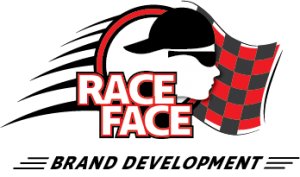 Race Face Brand Development is changing the way Motorsports Marketing and Promotions are done for drivers, teams, and corporate entities on and off the track. Our team has nearly 100 years of combined experience and successes in driver coaching, media, marketing and branding. Healthcare should be simple, fast and uncomplicated. Race Face Tel-Med makes it easy to visit a doctor online in minutes, without ever leaving your home, your job, or wherever you are. We are all about helping people save money and receiving great value at the same time. You can even get a prescription called into your local pharmacy, if medically needed. 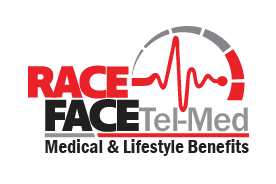 The Race Face Tel-Med program and it's friendly, board-certified doctors are enhancing access to quality healthcare in real-time through our mobile app, online and by phone. Our doctors have an average of 15 years of experience. They are professionally trained to use telehealth technology to treat many non-life-threatening conditions remotely. See for yourself how easy and convenient it is to get quality, affordable care. Watch the video above to learn more about Race Face Tel-Med.